Here we are on Day 7 of our Iberian Adventure. We left Granada and headed north west to Cordoba. We passed through acres of dry rugged landscape dotted with olive orchards and an occasional hill top castle or olive oil factory. We stopped at a combination gas station, repair garage, and olive oil shop. 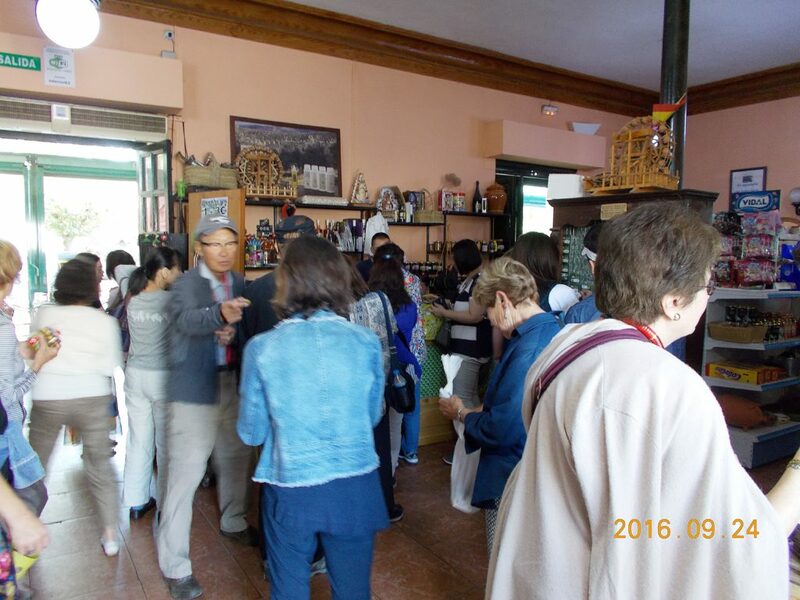 Everyone swarmed into the shop to taste and buy olive oil and trinkets. Juanjo gave us an interesting brochure that explained all about olive oil: It takes between 1300, and 2000 olives to make a quart of oil. Do not confuse olive oil tasting with wine tasting. Newly pressed oil is better than old oil and color is not important. Crushing the olives is done with granite millstones (picture later) and oil is extracted from the resulting paste by hydraulic presses. Just like making apple cider. The first pressing is cold pressed and is considered the best. I’m note sure I can tell the differences between various grades and pressings, but the Spanish sure can. We moved on to Cordoba next. 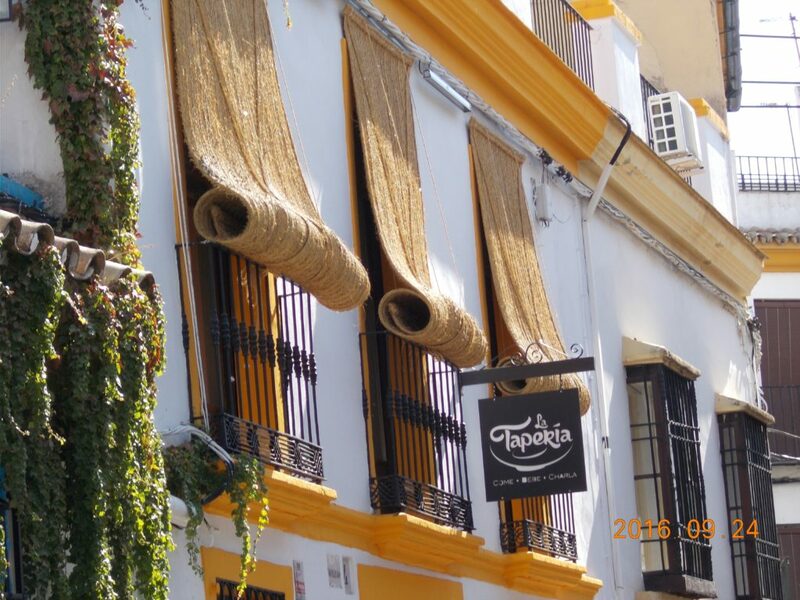 Cordoba is a city in Andalusia, southern Spain, and the capital of the province of Cordoba. It was first a Roman settlement, then colonized by Muslim armies in the eighth century. It became the capital of the Islamic Emerate, and then of the Calophate of Cordoba, including most of the Iberian Peninsular. 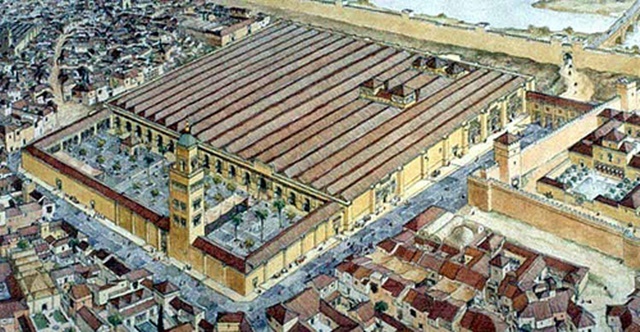 Caliph Al Hakem II ( no relation to Al Franken) opened many libraries in addition to the many medical schools and universities which existed at the time, making Córdoba a center for education. During these centuries it became the center of a society ruled by Muslims, in which all other groups had a second class. It was recaptured by Christian forces in 1236, during the Reconquista. Today it is a moderately sized modern city; its population in 2011 was about 330,000. The historic center was named a UNESCO World Heritage Site. 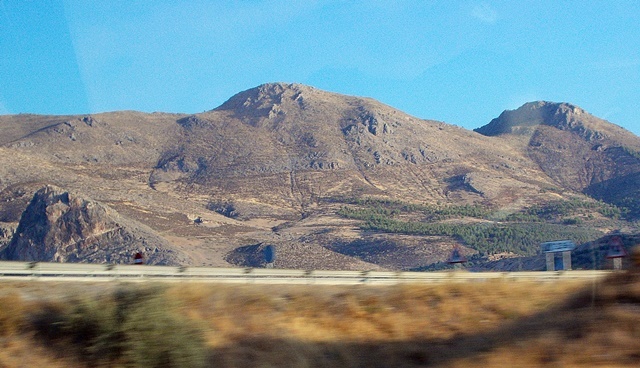 Córdoba has the highest summer temperatures in Spain and Europe, with average high temperatures around 99 °F in July and August. 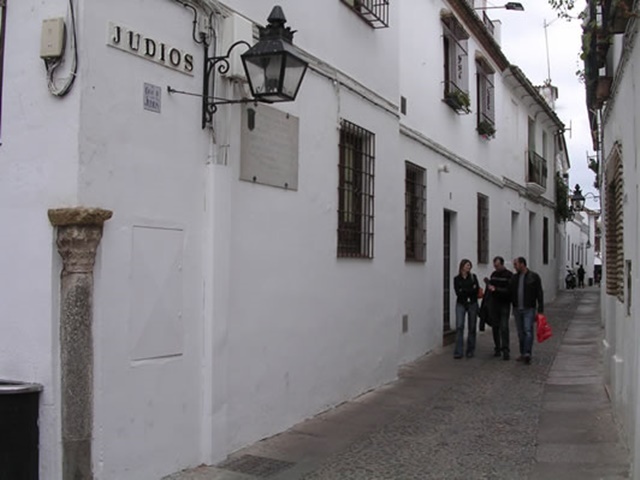 We entered the city via a gate through the old Jewish Quarter (again no Jews – young or old) on Judio Street. Some of the windows had heavy felt window coverings to keep out the summer heat, I guess. 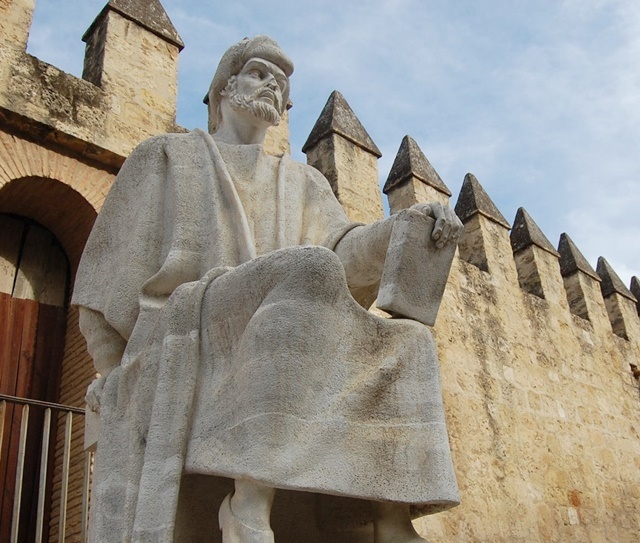 There are 3 ancient Philosophers that were born in Cordoba. Here is one: Seneca—died iin 65 AD in Rome , He was a Roman philosopher, statesman, orator, and tragedian. He was Rome’s leading intellectual figure in the mid-1st century and was virtual ruler with his friends of the Roman world between 54 and 62, during the first phase of the emperor Nero’s reign. He was a Roman Stoic, philosopher, statesman and dramatist of the Silver Age of Latin Literature. As a tragedian, he is best-known for his Medea and Thuestes. This is Rabbi Moses ben Maimon, commonly known as Maimonides. He was a medieval Sephardic (Spanish) Jewish philosopher who became one of the most prolific and influential Torah scholars of the Middle Ages. He was born in Cordoba in 1135. Maimonides was the first person to write a systematic code of all Jewish law, the Mishneh Torah; he also served as physician to the sultan of Egypt; wrote numerous books on medicine; and, in his “spare time,” served as leader of Cairo’s Jewish community. To this day, Maimonides is one of the most widely studied Jewish scholars. 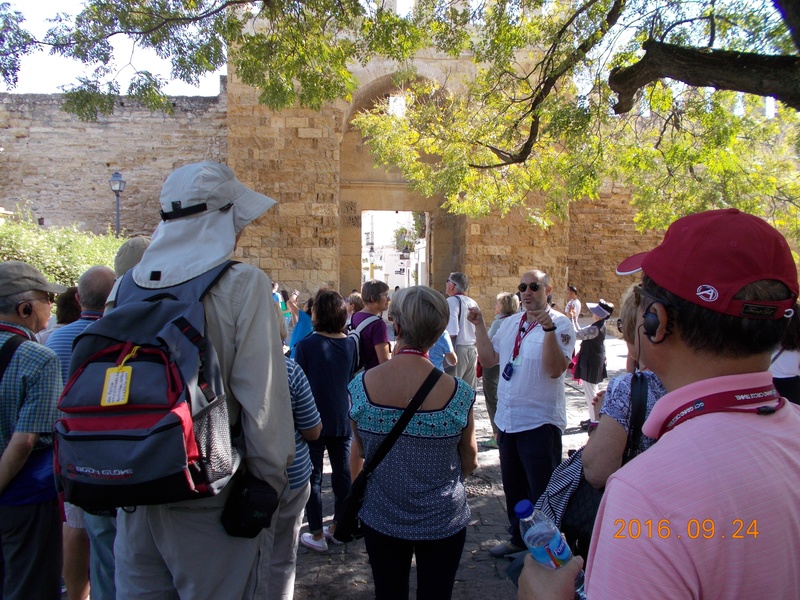 The guy in the white shirt was our GCT guide in Cordoba. That’s Juanjo peeking over Maimonides knee. 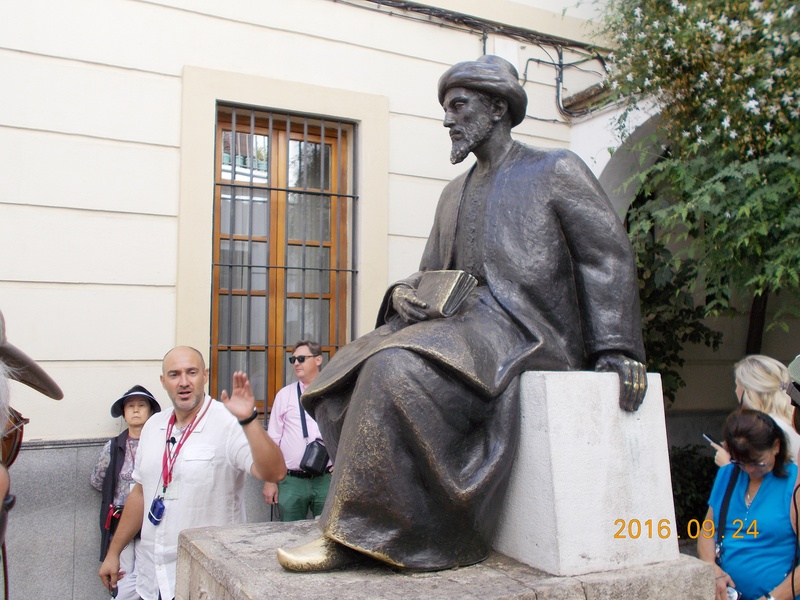 This is Ibn Rushd, full name, often Latinized as Averroes, was born in Cordoba in 1126. He was a medieval Andalusian polymath (a person of wide-ranging knowledge or learning.). He wrote on logic, Aristotelian and Islamic philosophy, theology, the Maliki school of Islamic jurisprudence. He lived during a unique period in Western intellectual history, in which interest in philosophy and theology was waning in the Muslim world and just beginning to flourish in Latin Christendom. From such bleak circumstances emerged the Spanish-Muslim philosophers, of which the jurist and physician Averroes came to be regarded as the final and most influential Muslim philosopher, especially to those who inherited the tradition of Muslim philosophy in the West. 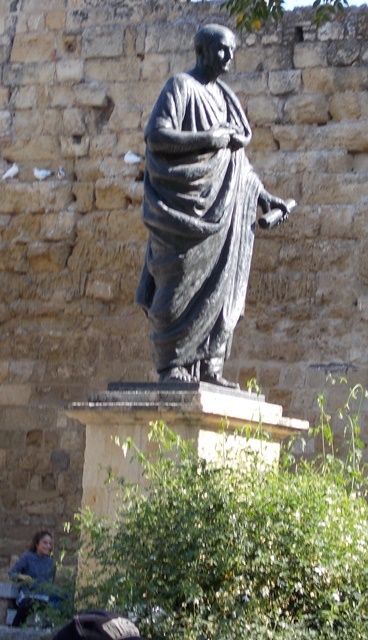 Note: On his statue, Seneca is holding a scroll. On the other two statues the subjects are holding a book. 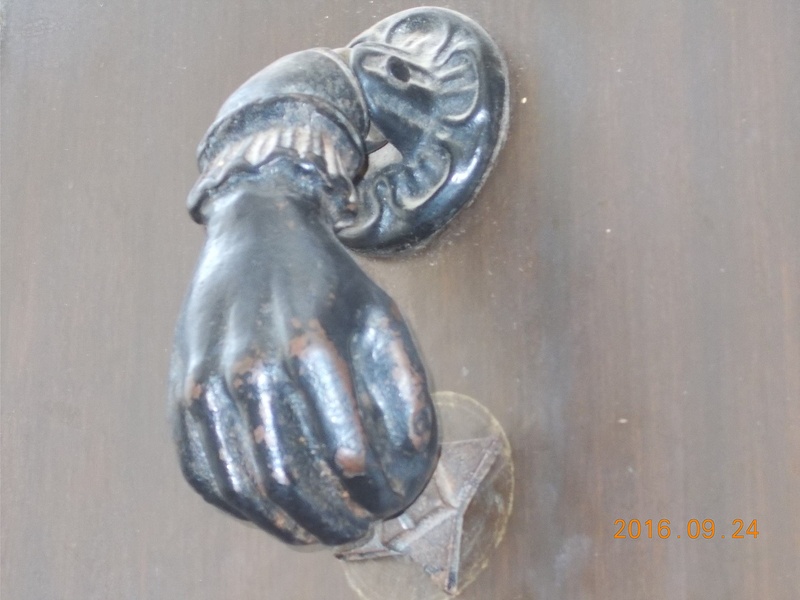 I guess that symbolizes knowledge? These are before and after pictures of the Mezquita. 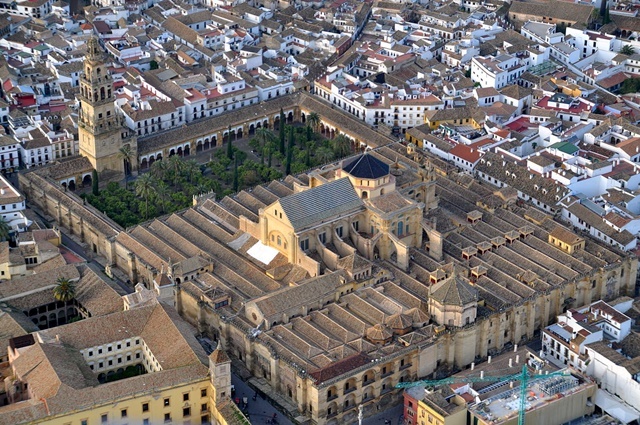 In 1236, Córdoba was conquered by King Ferdinand III of Castile, and the center of the mosque was converted into a Roman Catholic church, culminating in the insertion of a Renaissance cathedral nave in the 16th century. This is the interior of the Mosque part of the Mozquita. 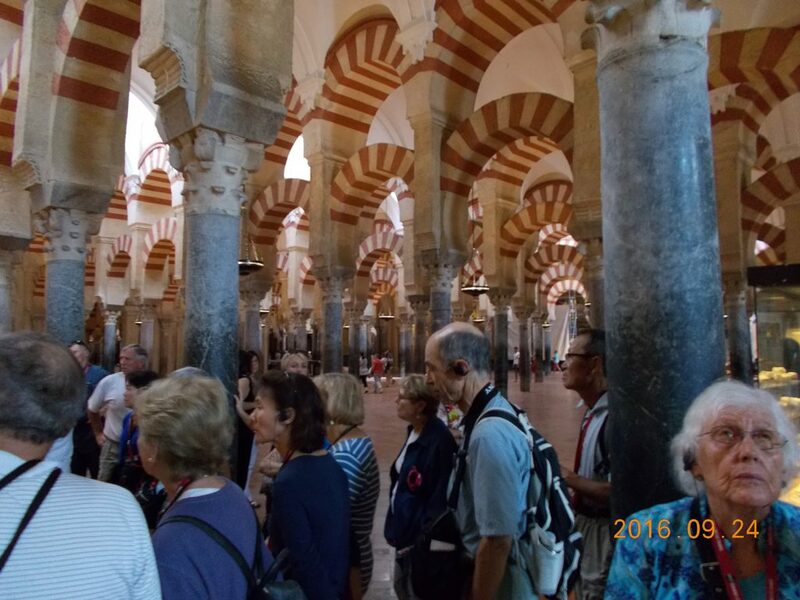 Hundreds of Moorish arches! 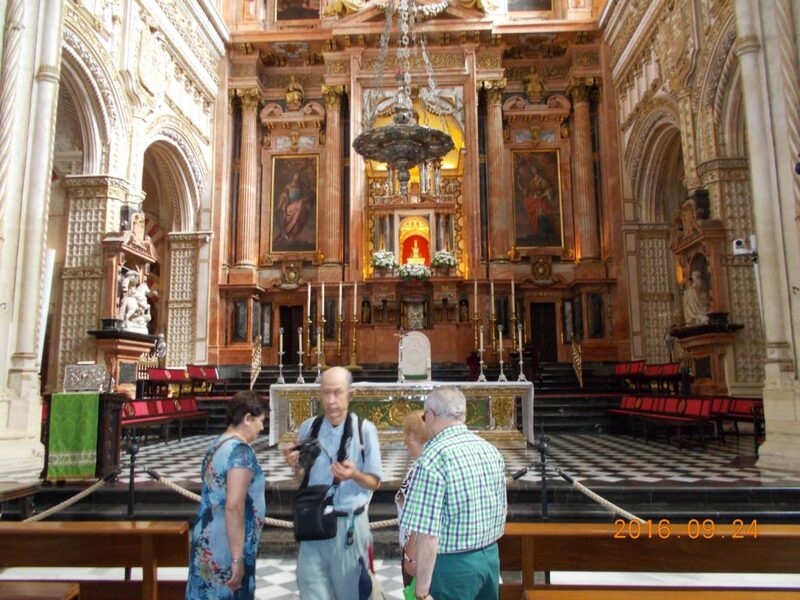 This is the interior of the Cathedral part of the Mozquita. It looks like many other churches in Europe. Outside the Mezquita we saw a site we rarely saw in Spain. 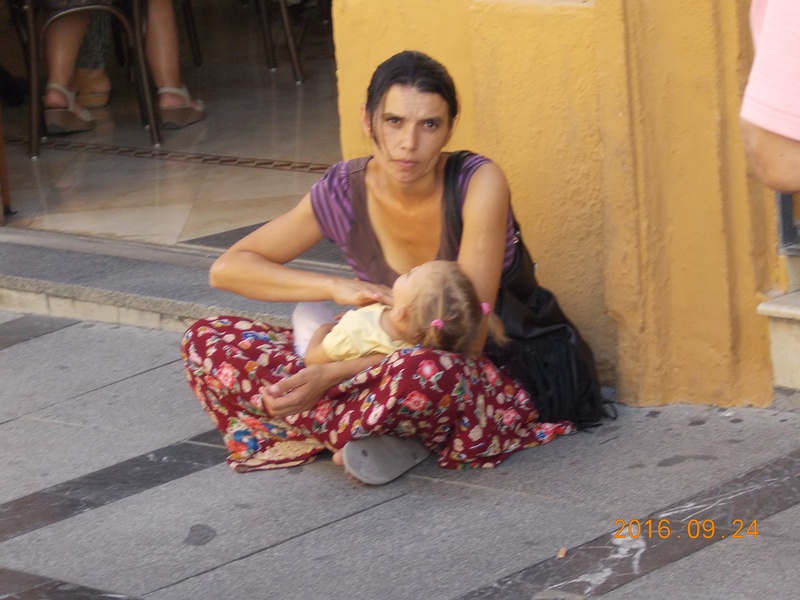 She has the typical out stretched hand of most beggars. Sad, Sad, Sad! Raphael is an archangel of Judaism, Christianity and Islam who, in the Christian tradition, performs all manners of healing. In Islam, Raphael is the fourth major angel; in the Muslim tradition, he is known as Israfil. Raphael is mentioned in the Book of Tobit, which is accepted as canonical by Catholics, Orthodox, and some Anglo-Catholics, as useful for public teaching by Anglicans and considered useful and good to read by Lutherans. Raphael is generally associated with the angel mentioned in the Gospel of John as stirring the water at the healing pool of Bethesda. Raphael is also an angel in Mormanism, as he is briefly mentioned in their Doctrine and Covenants. 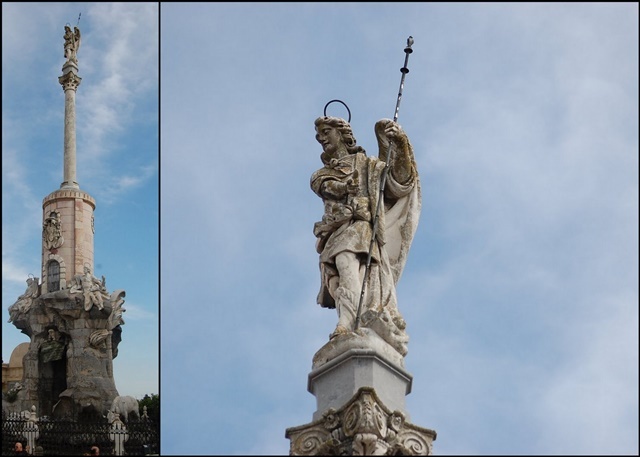 He is also the patron saint of Cordoba Spain. A popular guy, indeed! 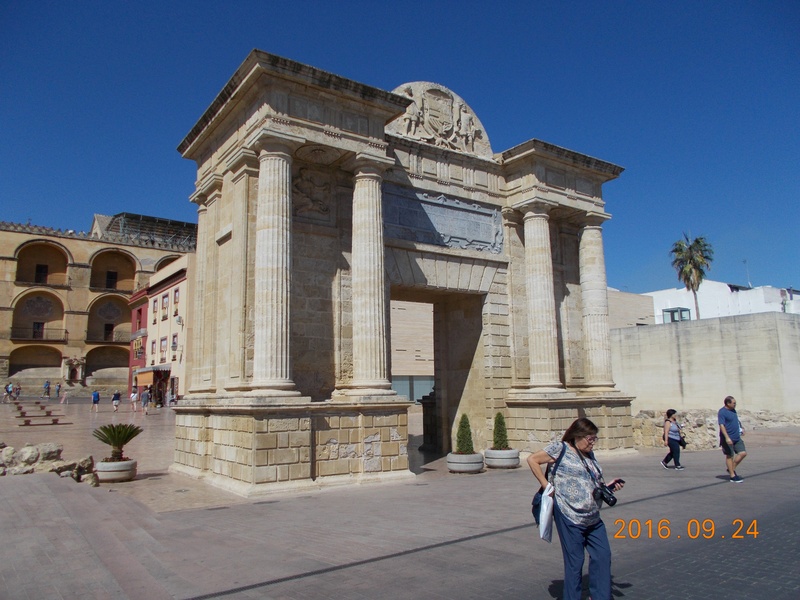 This is the Roman Watergate (Puerta del Puente) at the foot of the bridge over the Quadalquivir River in Cordoba. It was built in 1572. 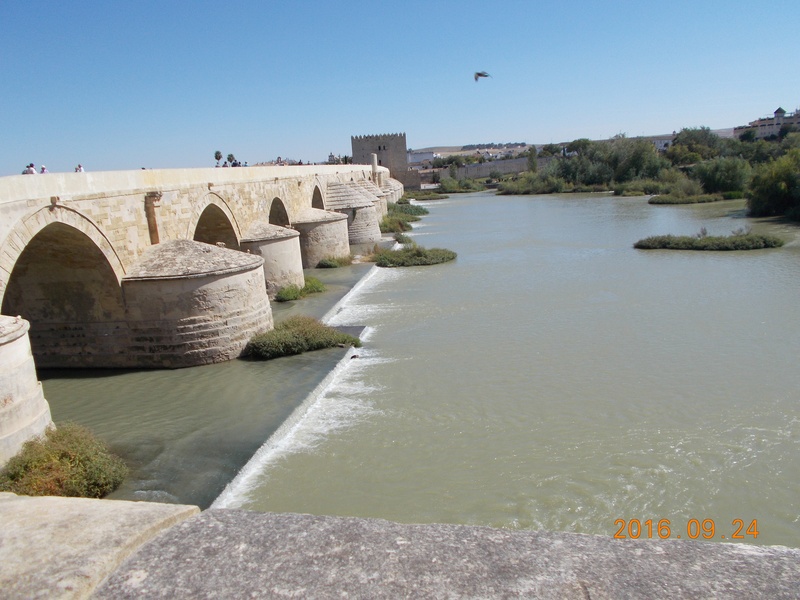 This Roman bridge of Córdoba is a bridge in the historic center of Córdoba, originally built in the early 1st century BC to cross the Guadalquivir river, though it has been reconstructed at various times since. It leads to the Roman Gate. The Guadalquivir is the fifth longest river in the Iberian Peninsula and the second longest river with its entire length in Spain. The Guadalquivir river is the only great navigable river in Spain. We reboard our bus and head south to the sea. This is the resort city of Torremolinos. Lots of hotels and restaurants on a beautiful sandy beach. 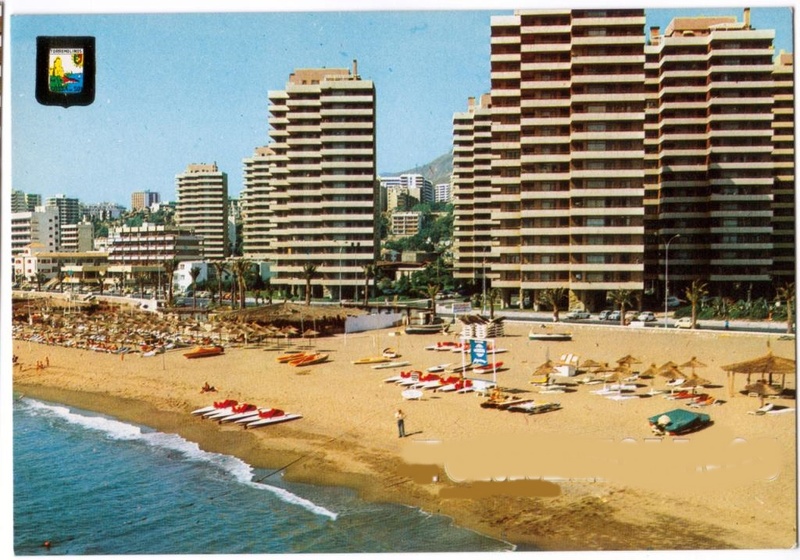 Torremolinos has a very long history. 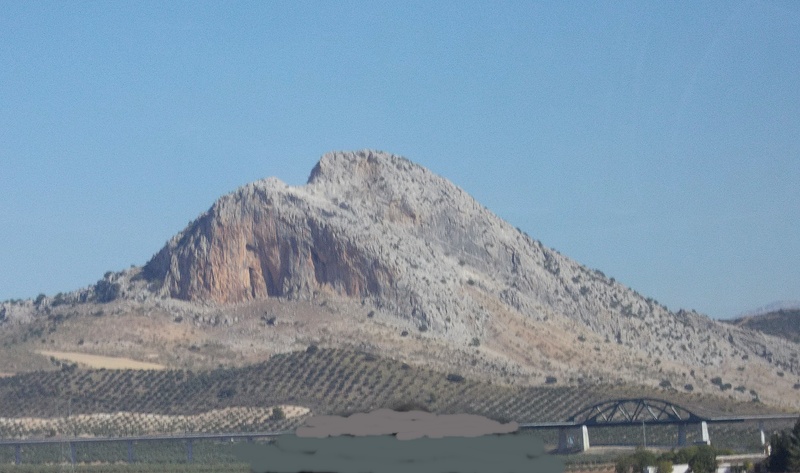 This city is located west of Malaga. The first foreigners to arrive here were the Phoenicians, followed by the Romans and the Moors. They found a good climate here, with water, fishing and hunting. 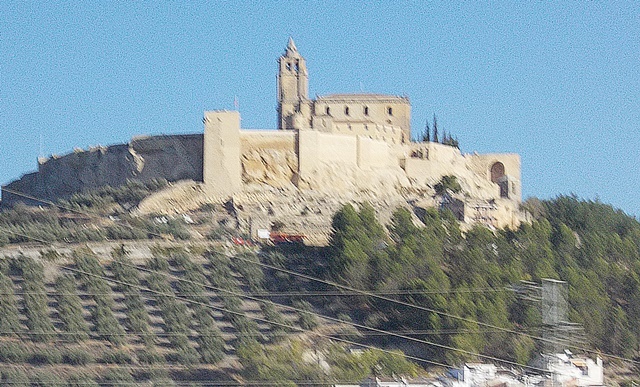 After the Christian conquest, the area joined the city of Malaga. 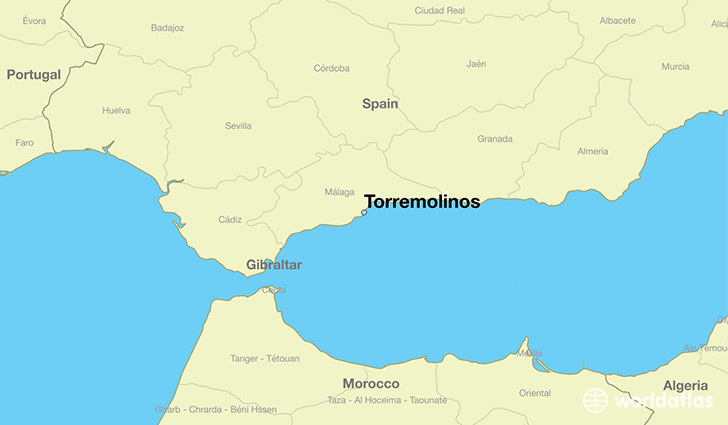 It was called Torremolinos because there was a tower with a mill. Torre means tower and molino means mill. In 1988 the town became independent of Malaga, after many years of wanting to go its own way. Today the city has a population of about 63,000. That’s it for today. I’m bushed.